Hyperledger Fabric is an enterprise-grade permissioned distributed ledger technology (DLT) platform, designed for use in enterprise contexts, that delivers some key differentiating capabilities over other popular distributed ledger or blockchain platforms. Hyperledger Fabric v1.3 is a platform for distributed ledger solutions, underpinned by a modular architecture delivering high degrees of confidentiality, resiliency, flexibility and scalability. It is designed to support pluggable implementations of different components, and accommodate the complexity and intricacies that exist across the economic ecosystem. 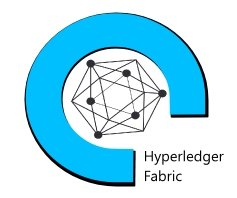 Hyperledger Fabric delivers a uniquely elastic and extensible architecture, distinguishing it from alternative blockchain solutions. Planning for the future of enterprise blockchain requires building on top of a fully-vetted, open source architecture; Hyperledger Fabric is your starting point.